Utilizing the latest in design and engineering technology, Duro Buildings I-Beam Steel Buildings has revolutionized industrial automation applications where traditional technologies were ineffective. What makes us better? We stand behind our steel buildings. Our Miami-Dade County product approval means that you can buy with confidence. Not all steel buildings have been Miami- Dade County approved. We have technical personnel to handle your difficulties. We are a family owned business with integrity and values. 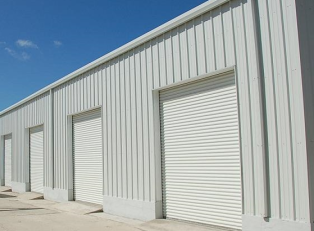 Whether it's a Miami warehouse, multiple car garage or storage for your RV or boat, truck or bus garage, mini storage building, barn for livestock or crop and fertilizer storage an industrial or commercial complex, indoor tennis complex with pro shop and restaurant. Retail or office space or even an aircraft hanger.